3 plus color print ; black (w/ yellow, red, blue inside), white, & a little ultra blue. 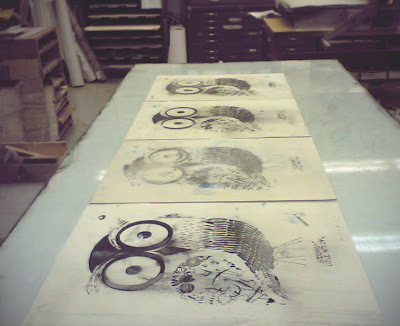 edition of 4 (all shown). *dumpster funk we walk on our sides.